St. Patricks day is great for anything green and of course a green beer to. 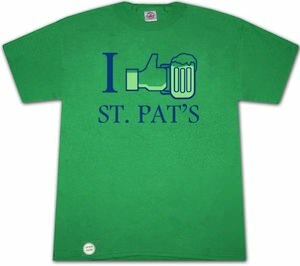 This t-shirt shows the Facebook like button in green holding a nice green beer. And it says “I Like St. Pat’s” and that is not all this t-shirt has a secret feature. If you look closely on the left bottom then you see a white round and that is a bottle opener. 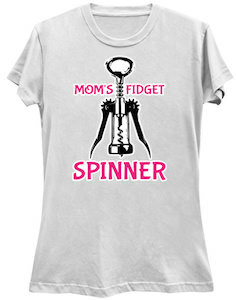 Yes this t-shirt has it’s own bottle opener to make access to beer easier then ever. The green t-shirt is made from 100% cotton and is available in a wide selection of adult sizes. Get ready for Saint Patrick’s Day with this I Like St. Patricks Day T-Shirt.